ARMALITE AR-10 12 TAC HANDGUARD – Perfect combination of light weight and durability. 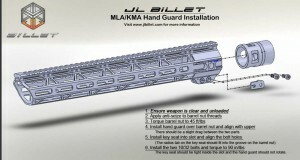 Full length MIL-STD 1913 12 O’Clock rail. Key-Mod doubles as flush cup sling attachment points. Includes barrel nut and mounting hardware. Available in 12″ and 15″ lengths. This AR-10 HANDGUARD will only work with ARMALITE AR-10 rifles. 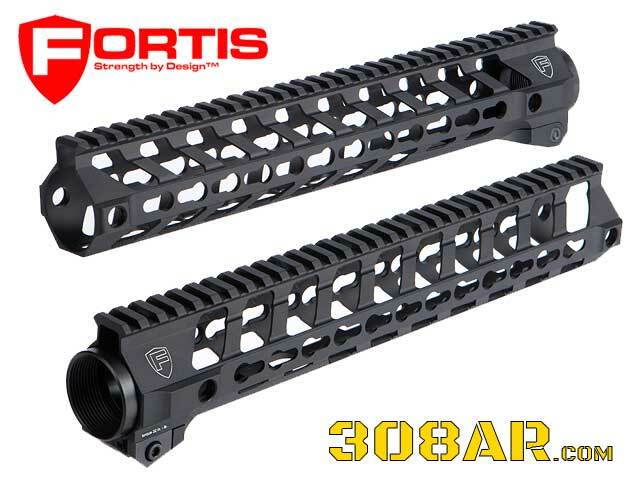 FORTIS SWITCH 308 HANDGUARD – Fortis Manufacturing provides unmatched strength with exceptional design and aesthetics at a price you can afford. FMI uses only the highest quality materials available and precision machining with exacting quality control. A diverse group of select professional operators puts every product thru some of the most extreme testing and evaluation in the industry. A product is only considered ready for production when all issues have been resolved and addressed. This philosophy at Fortis ensures that each product or accessory they make will exceed the monstrous demands of the professionals who use them! 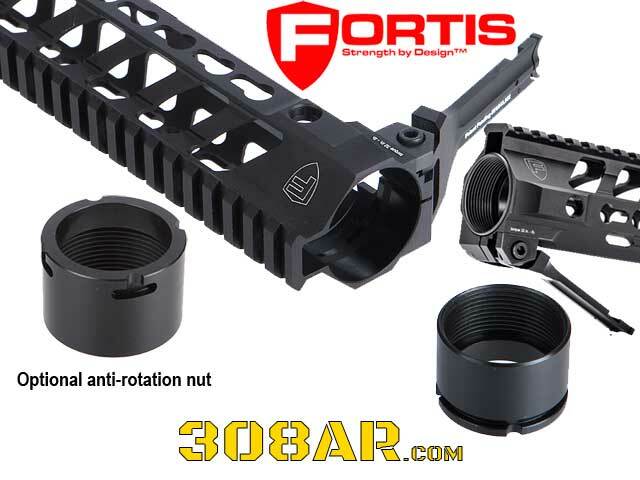 The FORTIS SWITCH 308 HANDGUARD Rail System is an innovative design from Fortis Manufacturing that gives you a distinct competitive advantage! The SWITCH is not only easy to install but also allows you to quickly remove and change rails. It features a tool less locking mechanism so you can change your rails and your setup on the fly to meet any conditions. 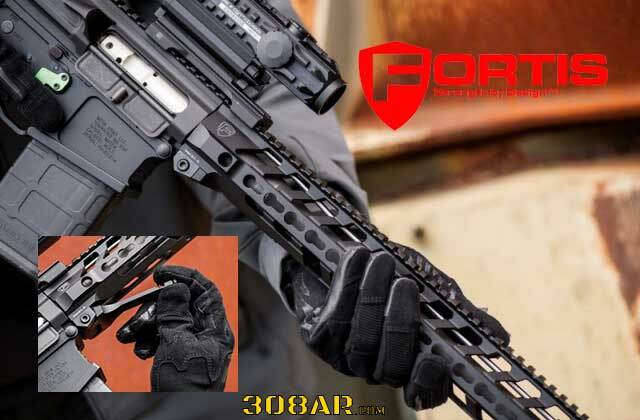 This lightweight and robust free float handguard utilizes a 1 piece skeletonized body to maintain its strength and still shed weight. 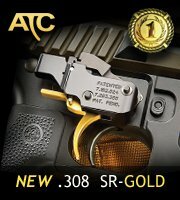 It has full length picatinny rail on top, with the versatility of key-mod at the 3, 6 and 9 o’clock positions. Anti rotation quick detach swivel sockets are integral to the design. Constructed of aircraft grade aluminum and hard coat anodized you know it will last the life of your DPMS High Profile .308 Platform rifle. It installs easily using a 4140 heat treated barrel nut with 1-7/16″x16 threads. 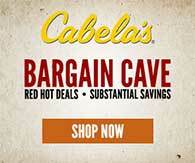 Improve your speed and your accuracy. Put more shots on target, further down range. Bring the SWITCH to your next competition! 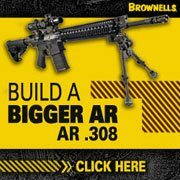 For use with AR-10 Platform .308 Rifles. Uses 4140 Heat treated Barrel Nut 1-7/16″x16 TPI. SWS has a few models available to fit the Armalite AR-10, DPMS LR-308 and KAC SR-25. These free float handguards are top of the line equipment. The Superior Weapons Systems rifle length free float tube is manufactured for the AR-10. This product is machined from an extrusion. 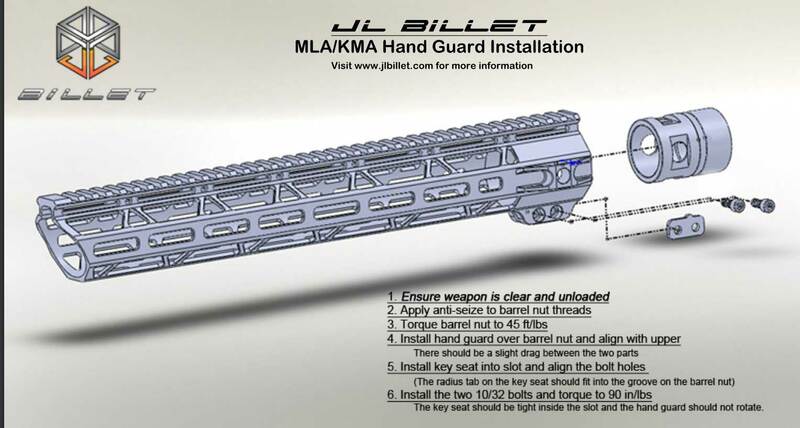 The rails are to military specifications Mil-std-1913. T numbers on all rails. The Superior Weapons Systems free float tube is manufactured for the AR-10. This product is machined from a solid bar of 6061 T6 aluminum. The rails themselves are to military specifications Mil-std-1913 but the clearance under the rails are shorter than specifications so there are some items which may not mount on the rail. View a list of items below which will or will not mount on the rail. The Superior Weapons Systems rifle length free float tube is manufactured for the DPMS. This product is machined from a solid bar of 6061 T6 aluminum. This product is hard coated anodized with a finished matte black color and lazar engraved with the FF tube model number, company logo and serial number. 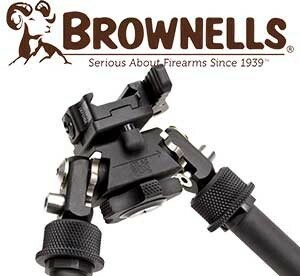 The rails are to military specifications Mil-std-1913 and KAC covers will snap on as well as fit for throw levers attachments. This product mounts with a SWS FF barrel nut and a Armalite locking ring which is provided with purchase. The rifle DPMS model fits the Panther Long Range .308 caliber rifle.